We're disappointed. We're going to do our best to persuade them that they jumped the gun. 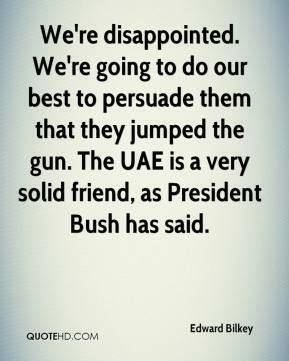 The UAE is a very solid friend, as President Bush has said. The reaction in the United States has occurred in no other country in the world. 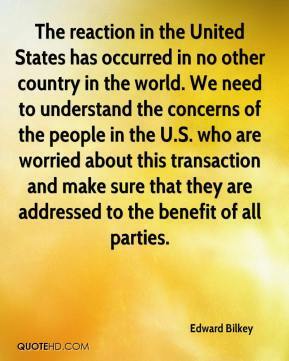 We need to understand the concerns of the people in the U.S. who are worried about this transaction and make sure that they are addressed to the benefit of all parties. 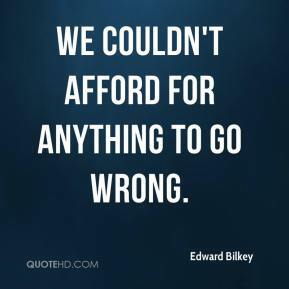 We couldn't afford for anything to go wrong. We serve everyone. 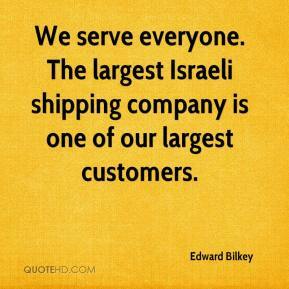 The largest Israeli shipping company is one of our largest customers. 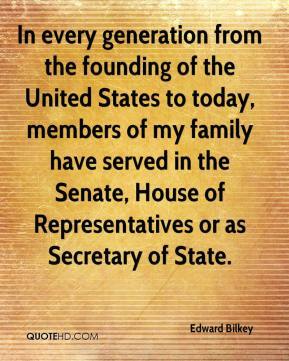 In every generation from the founding of the United States to today, members of my family have served in the Senate, House of Representatives or as Secretary of State. 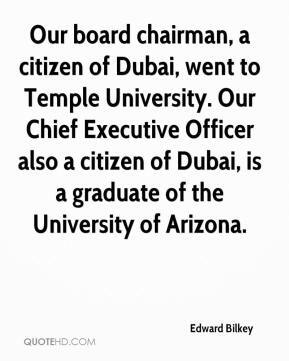 Our board chairman, a citizen of Dubai, went to Temple University. Our Chief Executive Officer also a citizen of Dubai, is a graduate of the University of Arizona. 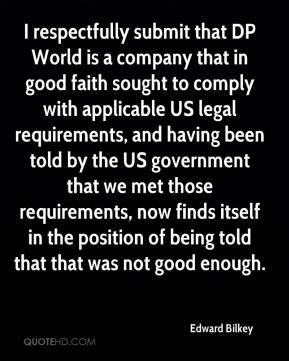 I respectfully submit that DP World is a company that in good faith sought to comply with applicable US legal requirements, and having been told by the US government that we met those requirements, now finds itself in the position of being told that that was not good enough. 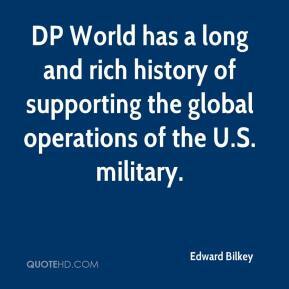 DP World has a long and rich history of supporting the global operations of the U.S. military.